Argument Fodder: Best P-Wagen Ever? 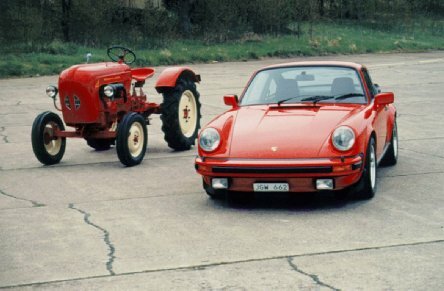 Which Porsche is the best? Who knows, they are all cool! More Robot Cars on the Road! Announced by GM CEO Mary Barra and not long after Uber said it had started a trial self-driving taxi service in San Francisco, and Google said it had transformed its self-driving car project into a standalone business known as Waymo, we see the SAVE Act signed in by Michigan Gov. Rick Snyder. Developed in partnership with major automakers as well as tech firms, it clears the way for self-driving cars devoid of a steering wheel, pedals and a human in control to start testing on Michigan roads. It also lays the groundwork for setting up the criteria required for the eventual sale of self-driving cars to the public. We are seeing more autonomous cars on the road in the U.S.
Delphi and MobilEye to provide off-the-shelf self-driving system by 2019. Both companies have announced that they will bring a fully self-driving (SAE level 4) system on the market for use in a variety of cars in 2019. In an interview session, Andrew Ng, the chief scientist of the Chinese search engine Baidu expects that a large number self-driving self-driving cars will be on the road within three years, and that mass-production will be in full swing by 2021. "Fun has to be part of the business when you market a lifestyle brand... What began as an informal gathering took on a more bare-knuckles edge last year after the company secured a new $7 million round of funding led by Partech Ventures in April 2015. Now two teams of on-site employees face off quarterly in what Hunter describes as an "ironless" chef cook-off using only tools found around the office..."
"Each team has roughly an hour to plan their meals and take a trip to the grocery store to find what they need, though some will forage for fresh produce right where they are," says Button cofounder Stephen Milbank. Teams get 30 seconds to pitch their finished concepts. They usually need every last one as constraints often lead to interesting or even crazy choices, like the team that used waffles instead of buns for a recent burger-and-salad cook-off. A single underground deposit of ice on Mars contains about as much water as there is in Michigan's Lake Superior, according to new research from NASA. The deposit rests in the mid-northern latitudes of the Red Planet, specifically in the Utopia Planitia region. 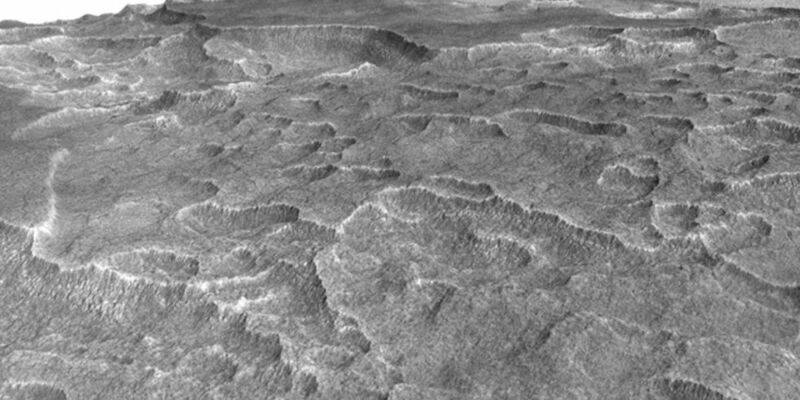 Discovered by the Shallow Subsurface Radar (SHARD) instrument on the Mars Reconnaissance Orbiter (MRO), the deposit is "more extensive in area than the state of New Mexico," according to a NASA press release. It ranges in thickness from about 260 feet to about 560 feet, and has a composition that's 50 to 85 percent water ice, with what appears to be dust or larger rocky particles mixed in as well. None of the ice is exposed to the surface. At various points the dirt covering it is in between 3 and 33 feet thick. Frozen Embryos Could Lead to HyperSleep? 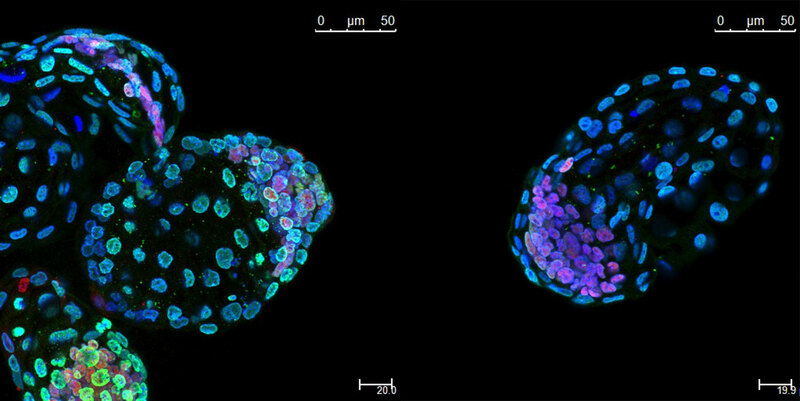 Read about a team of scientists from the University of California, San Francisco, who managed to completely pause their development, putting the blastocysts (very early embryos) in suspended animation for a month. What's more, they found that the process can put stem cells derived from the blastocysts in suspended animation as well, [and] the researchers were able to prove that the embryos can develop normally even after a pause in their growth. Team member Ramalho-Santos from the Eli and Edythe Broad Center of Regeneration Medicine and Stem Cell Research said... "To put it in perspective, mouse pregnancies only last about 20 days, so the 30-day-old 'paused' embryos we were seeing would have been pups approaching weaning already if they'd been allowed to develop normally." The implications for long-distance space travel are intriguing. Electric utilities change the rate schedule so owners of solar arrays pay a higher rate during the evening, and can only sell power back to the grid at a lower rate than previous. Oracle is to acquire NetSuite, a software-as-a-service provider that makes the ambitions claim of being the very first cloud company. NetSuite has been working for 18 years to develop a single system for running a business in the cloud. By snapping up Solar City, Elon Musk plans to provide Solar for everyone, and will make Tesla Car Company a broader brand. Plus - you can make your Tesla part of the autonomous fleet, when you are not using it...! Many are lobbying for a bold social experiment to help eradicate poverty and protect workers in an increasingly automated economy... the idea of guaranteed minimum income for everyone. Guaranteed minimum income is a system of social welfare that guarantees that all citizens have an income sufficient to live on. The idea isn’t new. As Frum notes, Friederich Hayek endorsed it. In 1962, the libertarian economist Milton Friedman advocated a minimum guaranteed income via a “negative income tax.” In 1967, Martin Luther King Jr. said, “The solution to poverty is to abolish it directly by a now widely discussed measure: the guaranteed income.” Richard Nixon unsuccessfully tried to pass a version of Friedman’s plan a few years later, and his Democratic opponent in the 1972 presidential election, George McGovern, also suggested a guaranteed annual income. In a 2006 book, conservative intellectual Charles Murray proposed eliminating all welfare transfer programs, including Social Security and Medicare, and substituting an annual $10,000 cash grant to everyone 21 years and older. The Alaska Permanent Fund, funded by investments from state oil revenues, sends annual dividend checks to the state’s residents. While recently Swiss voters rejected an option, the idea of guaranteed income is compelling, in the face of the on-going robot revolution. Other proposals are being debated elsewhere, including the Netherlands, Finland, Canada and New Zealand. Want to See things More Clearly? Use low-cost, high res Micro Len technology! Flat lens promises a revolution in optics, and they are unlike the curved disks of glass found everywhere from cameras to binoculars. Instead, it is made of a thin layer of transparent quartz coated in millions of tiny pillars, each just tens of nanometres across and hundreds high. Singly, each pillar interacts strongly with light. Their combined effect is to slice up a light beam and remould it as the rays pass through the array... The team is already working on beating the performance of its first prototypes. Read more over at this source... on BBC. ...why the government freaked out when a $400 remote-controlled quadcopter landed on the White House grounds last week, you need to look four miles away, to a small briefing room in Arlington, Virginia. There, just 10 days earlier, officials from the US military, the Department of Homeland Security, and the FAA gathered for a DHS “summit” on a danger that had been consuming them privately for years: the potential use of hobbyist drones as weapons of terror or assassination. In Nevada, a prototype flying drone taxi made by a Chinese company is getting closer to testing. As we read at The Consumerist, EHang is working with the Nevada Governor’s Office of Economic Development to enable the firm to develop a testing program for its autonomous aerial taxi. Ehang's autonomous helicopter may soon shuttle a passenger anywhere, no pilot required. Well, within the 20-minute, 60mph range. Ehang, a Chinese drone company, announced a new product at CES it's calling the Ehang 184, an all electric quadcopter scaled up from a drone so that it's large enough to carry a passenger. Ehang calls it an autonomous aerial vehicle, I prefer personal pilotless helicopter, but if you need to explain what it is to anyone, just say it's a driverless car for the sky. Uber's ultimate goal is a complete end to car ownership - and it's wasting no time. It wants you to be able to summon a car, have it arrive in less than five minutes, and take you where you want to go. In major cities it has just about hit that goal. The average time for being picked up by an Uber is less than five minutes. This week, the company began a scheme that gave all residents in a small San Francisco community $100 (£68.50) every month to spend on Uber. But Uber's big inconvenience is the fact it needs drivers, and so this line of research is about eliminating that final piece of the puzzle to boost profits even more. Uber isn't alone - rival ride-sharing service Lyft announced a tie-up with Chevrolet to use autonomous driving as well, but it's Uber that seems unstoppable in its goal to be the dominant force in global ground travel. As interest builds in self-driving cars, everyone seems to be getting in on the action. Big names such as Google and Apple are working diligently, but so are many other companies, as we see in this list. 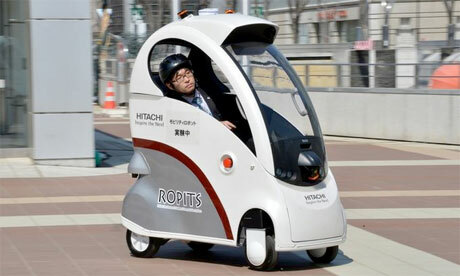 Will cooperation help speed our ability to get rid of the personal car? Perhaps sharing the map data that many of these systems use is one answer. Announcing their acquisition of Here Maps last year, Daimler, Volkswagen and BMW stated that “the high-precision cameras and sensors installed in modern cars are the digital eyes for updating mobility data and maps”. The idea of crowdsourcing map data, one of Google's big advantages, gives them a leg up over traditional firms. The latest version of DHL's delivery drone has made more than 100 successful deliveries and can get parcels to remote villages faster than transporting them across difficult terrain in a car. The third generation of the company's Parcelcopter completed a three month test period of autonomously carrying parcels to and from set locations in Bavaria, Germany. Ride-sharing firms Uber Technologies Inc. and Lyft Inc. are experimenting with carpooling services that are changing how people get to work. Both companies, best known for providing a fleet of private drivers that can be matched to individual passengers through their smartphones, have introduced technology that groups strangers as passengers—thus saving commuters money—by using algorithms that match distances and times of trips with other people going to similar places or in similar directions. Researchers are looking at how mobile apps, social media and predictions about traffic flow can all combine to deliver a better commute. Of course, the NYT has information on how Uber is looking to relieve congestion. Call up the app, specify your destination, and in exchange for a significant discount, UberPool matches you with other riders going the same way. 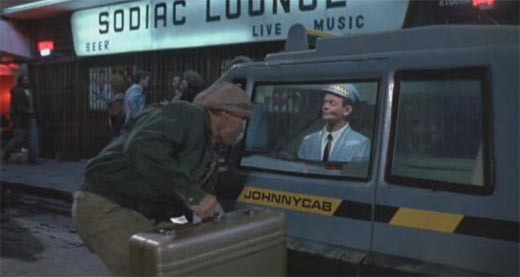 The service might create a ride just for you, but just as often, it puts you in a ride that began long ago — one that has spanned several drop-offs and pickups, a kind of instant bus line created from collective urban demand. The Fairchild Republic A-10 Thunderbolt II is an American twin-engine, straight wing jet aircraft developed by Fairchild-Republic in the 1970s. It entered service in 1976, and is the only United States Air Force production-built aircraft designed solely for close air support, i.e. close quarters support of ground troops. This includes attacking tanks, armored vehicles, and other ground targets. The A-10 was effective in Operation Desert Storm during the Gulf War. It has also served in combat in the Balkans, Afghanistan, Iraq, and against the Islamic State in the middle east. The A-10 was intended to improve on the performance of the A-1 Skyraider and its poor firepower. The A-10 was designed around the 30 mm GAU-8 Avenger rotary cannon that is its primary armament. Its airframe was designed for durability, with measures such as 1,200 pounds (540 kg) of titanium armor to protect the cockpit and aircraft systems, enabling it to absorb a significant amount of damage and continue flying. Its short takeoff and landing capability permits operation from airstrips close to the front lines, and its simple design enables maintenance with minimal facilities. The A-10A single-seat variant was the only version produced, though one A-10A was converted to an A-10B twin-seat version. In 2005, a program was begun to upgrade remaining A-10A aircraft to the A-10C configuration with modern avionics for use of GPS guided weaponry and a Helmet Mounted Cueing System. The A-10's official name comes from the Republic P-47 Thunderbolt of World War II, a fighter that was particularly effective at close air support. The A-10 is more commonly known by its nicknames "Warthog" or "Hog". Its secondary mission is to provide forward air controller - airborne (FAC-A) support, by directing other aircraft in attacks on ground targets. Aircraft used primarily in this role are designated OA-10. With a variety of upgrades and wing replacements, the A-10's service life may be extended to 2028. The Lockheed Martin F-35 Lightning II is a family of single-seat, single-engine, all-weather stealth multirole fighters undergoing final development and testing by the United States. The fifth generation combat aircraft is designed to perform ground attack and air defense missions. The F-35 has three main models: the F-35A conventional takeoff and landing (CTOL) variant, the F-35B short take-off and vertical-landing (STOVL) variant, and the F-35C carrier-based Catapult Assisted Take-Off But Arrested Recovery (CATOBAR) variant. On 31 July 2015, the first squadron was declared ready for deployment after intensive testing by the United States. The F-35 is descended from the X-35, which was the winning design of the Joint Strike Fighter (JSF) program. It is being designed and built by an aerospace industry team led by Lockheed Martin. Other major F-35 industry partners include Northrop Grumman, Pratt & Whitney and BAE Systems. The F-35 took its first flight on 15 December 2006. The United States plans to buy 2,457 aircraft. The F-35 variants are intended to provide the bulk of the manned tactical airpower of the U.S. Air Force, Navy and the Marine Corps over the coming decades. Deliveries of the F-35 for the U.S. military are scheduled to be completed in 2037 with a projected service life up to 2070. The program is the most expensive military weapons system in history, and it has been the object of much criticism from those inside and outside government — in the US and in allied countries. Critics argue that the plane is "plagued with design flaws," with many blaming the procurement process in which Lockheed was allowed "to design, test, and produce the F-35 all at the same time, instead of ... [identifying and fixing] defects before firing up its production line." By 2014, the program was "$163 billion over budget [and] seven years behind schedule." Critics further contend that the program's high sunk costs and political momentum make it "too big to kill." Autonomous cars such as the GoogleCar tend to get our attention, but the autonomous vehicles most of us are likely to interact with first are going to be lorries and trucks. The big rigs that haul almost anything consumed will be much safer if drivers do not get fatigued on long trips. They are also far more efficient if they can "platoon" together, drafting behind each other. A convoy of self-driving trucks recently drove across Europe and arrived at the Port of Rotterdam. No technology will automate away more jobs — or drive more economic efficiency — than the driverless truck. Shipping a full truckload from L.A. to New York costs around $4,500 today, with labor representing 75 percent of that cost. But those labor savings aren’t the only gains to be had from the adoption of driverless trucks. Where drivers are restricted by law from driving more than 11 hours per day without taking an 8-hour break, a driverless truck can drive nearly 24 hours per day. That means the technology would effectively double the output of the U.S. transportation network at 25 percent of the cost. Robot trucks?! If you just passed a truck glowing blue on the Nevada highway, it means that a robot is at the controls. For testing, autonomous models have LED lights that turn different colors according to whether a human – or the computer – is in control. From the BBC: Daimler’s truck is capable of “level three” self-driving – on a scale that goes from zero to four - which means it can take over the driving itself if required. But the company says the driver will only become a passenger under a controlled set of circumstances. The system was first demonstrated in Germany last year but on a closed section of road. When BBC Future joins the testing team, it’s on a section of a public highway. And on Nevada’s freeways, the driver can now chill out, or even take care of paperwork on the truck’s built-in tablet. The Register has a good article on the inanity of proposed U.S. legislation regarding encryption. The proposed bill put forward by Senators Richard Burr (R-NC) and Dianne Feinstein (D-CA) to force US companies to build backdoors into their encryption systems has quickly run into trouble. Less than 24 hours after the draft Compliance with Court Orders Act of 2016 was released, more than 43,000 signatures have been added to a petition calling for the bill to be withdrawn. The petition, organized by CREDO Action, calls for Congress to block the proposed law as a matter of urgency. Meanwhile, in the technical world, experts have been going through the legislation and pointing out glaring holes in the draft bill. Bruce Schneier, the guy who literally wrote the books on modern cryptography, noted that the bill would make most of what the NSA does illegal, unless No Such Agency is willing to backdoor its own encrypted communications. "This is the most braindead piece of legislation I've ever seen," Schneier – who has just been appointed a Fellow of the Kennedy School of Government at Harvard – told The Reg. "The person who wrote this either has no idea how technology works or just doesn't care." He pointed out that it isn't just cryptographic code that would be affected by this poorly written legislation. Schneier, like pretty much everyone, uses lossy compression algorithms to reduce the size of images for sending via email but – as it won't work in reverse and add back the data removed – this code could be banned by the law, too. Files that can't be decrypted on demand to their original state, and files that can't be decompressed back to their exact originals, all look the same to this draft law. Even deleted data could be covered, he opined. Are software companies to put in place mechanisms to retrieve any and all deleted information? Comparing the differences in emoji across platforms is interesting. GroupLens researchers asked subjects to rate 22 anthropomorphic emoji from five platforms by sentiment, using a scale that ranged from strongly negative to strongly positive. Commercial Drone Service - Set to Take Off? The first category of drones would weigh no more than about a half-pound. They essentially could fly unrestricted over people, including crowds. Drone makers would have to certify that if the drone hit someone, there would be no more than a 1% chance that the maximum force of the impact would cause a serious injury. For the three other categories, the drones would have to fly at least 20ft over the heads of people and keep a distance of at least 10ft laterally from someone. Drones in the second category are expected to be mostly small quadcopters – drones with multiple arms and propellers, and weighing 4lbs to 5lbs – but there is no weight limit. Flights over people, including crowds, would depend on the design and operating instructions. Manufacturers would have to demonstrate through testing that the chance of a serious injury was 1% or less. Drones in the third category could not fly over crowds or densely populated areas. These drones would be used for work in closed or restricted sites where the people that the drones fly over have permission from the drone operator to be present. Those people would be incidental to the drone operations and flights over them would be brief, rather than sustained. Manufacturers would have to show there was a 30% chance or less that a person would be seriously injured if struck by the drone at the maximum strength impact possible. Drones in the fourth category could have sustained flights over crowds. Working with the FAA and engaging the local community, the operator would have to develop a “congested area plan” showing how flight risks would be mitigated. As before, the risk of serious injury would have to be 30% or less. Safety tests would be more exacting and the FAA would set a limit on how strong the drone’s maximum impact could be. The FAA initially described the panel as a “micro” drone committee. 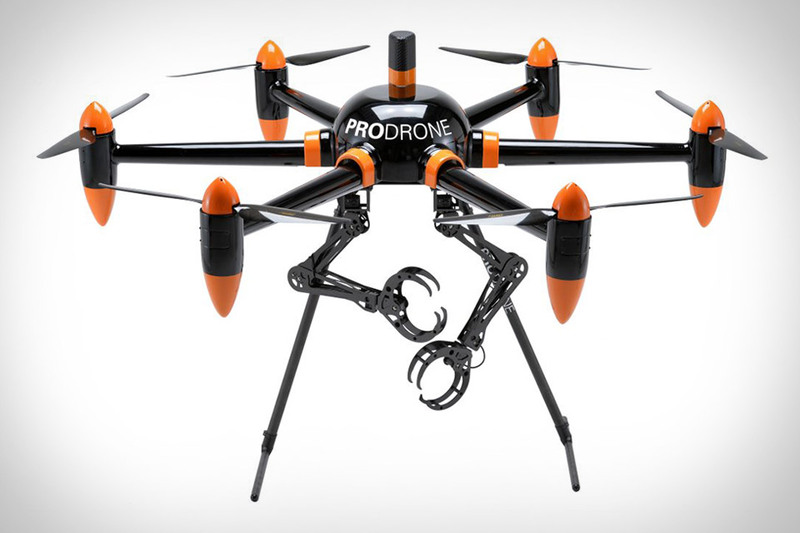 The agency defines such drones as those weighing less than 4.4lbs. But the committee decided not to set a weight limit for most of the categories. That means it’s possible that any “small” drone, which the FAA defines as weighing less than 55lbs, could win approval to fly over people if the drone met the safety criteria laid out in the recommendations. For example, a smaller drone that flies at higher speeds with fast-moving propellers may prove more of a risk than a heavier drone that flies more slowly and whose propellers don’t rotate as quickly. - No operating systems to choose, secure, patch, or manage. - No servers to size, monitor, or scale. - No risk to your cost by over-provisioning. - No risk to your performance by under-provisioning. Serverless becomes about exposing individual functionality rather than a whole server. Serverless is about saying exactly what needs doing when responding to an event, and increasingly ignoring what underlying technology is required. But it’s also about removing the need to manage uptime, server maintenance, upgrades, security vulnerabilities etc. The only bit you need to be aware of is your code. That’s it. Drone manufacturers and software providers are quickly developing technologies like geo-fencing and collision avoidance that will make flying drones safer. The accelerating pace of drone adoption is also pushing governments to create new regulations that balance safety and innovation. The FAA is set to release new regulations this spring could help boost adoption. Safer technology and better regulation will open up new applications for drones in the commercial sector, including drone delivery programs like Amazon’s Prime Air and Google’s Project Wing initiatives. Of course, you still need a pilot's license to operate commercial drones. This is smart, but the size o said aircraft need to be taken into consideration. And, much like the GoogleCar, we need a framework for artificial intelligence-controlled aerial vehicles. Gary Ritter, director of the Center for Advanced Transportation Technologies at Volpe, The National Transportation Systems Center: "Google's recent self-driving car is programmed to be courteous and cautious...." Based on artificial intelligence software, some Google vehicles have driven over 200,000 miles on public roads, using high-accuracy map data, video, LIDAR, radar, and wheel sensors. Ritter cited many reasons to move towards increasing automation, including improved safety, reduced congestion, energy savings, and innovative mobility options such as advanced rapid transit, on-demand vehicle sharing, and providing mobility to currently ineligible drivers. One of the biggest consumer-oriented reasons is driver convenience. Cities are the source of civilization -- perhaps time to supersede nation-states? Forward looking individuals are inviting the world’s mayors to collaborate on solving some of humanity’s most vexing problems – Benjamin Barber, Don Tapscott and Richard Florida – who believe that our times and circumstances require nothing less than a global parliament of mayors. This would be a voluntary network of elected municipal officials and others, managed by collaboration and consensus, to advocate for more effective urban policy. Cities, after all, are the birthplace of civilization, and hubs of innovation. Tapscott is best known for a series of successful business books touting the benefits of collaboration technology, chief among them the 2006 Wikinomics, while Florida is known for his theory of the “creative class”; and Barber has significant experience thinking through the dynamics of democratic governance. We do in fact live in a post-Keynesian epoch – an era in which, for reasons both fiscal and nakedly ideological, most states have retreated from the provision of citizen services they used to undertake as a matter of course. Margaret Thatcher’s sweeping logic of privatisation has had such impact that even egalitarian Finns are now worried about losing their national health service. Municipal administrators, by contrast – beset by rising waters, crumbling infrastructure and vulnerable populations – are forced to be practical, empirical, and far more immediately accessible to their restive and squabbling constituencies. They don’t enjoy the luxury of ideological posturing. Anyone interested in pragmatic, sleeves-up responses to the various crises that afflict us might therefore be well-advised to look to them for insight. Lack of transparency hurts democracy. And the current administration has been running rough-shod over the Freedom of Information Act. Its backlog of unanswered requests at year’s end grew remarkably by 55 percent to more than 200,000. It also cut by 375, or about 9 percent, the number of full-time employees across government paid to look for records. That was the fewest number of employees working on the issue in five years. The Freedom of Information Act is supposed to deliver on the idea of a government “for and by the people,” whose documents are our documents. The ability to get information from the government is essential to holding the people in power accountable. A magistrate judge recently ordered Apple to comply with this request. Apple in turn filed a Motion to Vacate, arguing that in complying with the FBI’s request, the company would be forced to weaken a valuable encryption platform at a time when the United States desperately needs stronger, more effective encryption. And... this week Apple is appearing before Congress to address the issues raised. The legal grounds for the FBI’s demand come from the Communications Assistance for Law Enforcement Act (CALEA) and the All Writs Act (AWA). Under CALEA, there is a strong argument that Apple cannot be legally required to create new software of any kind for any department of the federal government. Enacted in 1789 as a stop-gap that allows the government to efficiently administer its given legislative privileges, the AWA is being given an impermissibly broad interpretation by the FBI. Apple should do what is necessary to preserve our enduring constitutional values, including life, liberty and the pursuit of happiness. Those values also include the privacy and speech rights protected by the Constitution. For the last 17 years, the American not-for-profit MITRE Corporation has been editing and maintaining the list of Common Vulnerabilities and Exposures (CVEs). According to a number of researchers, MITRE has lately been doing a lousy job when it comes to assigning these numbers, forcing researchers to do without them or to delay public disclosure of vulnerabilities indefinitely. The problem is getting worse by the day, and the situation has spurred Kurt Seifried, a "Red Hat Product Security Cloud guy" and a CVE Editorial Board member, to create a complementary system for numbering vulnerabilities. CVE® International in scope and free for public use, CVE is a dictionary of publicly known information security vulnerabilities and exposures. Here's details about Kurt Seyfried's recommendation. Tired of waiting for autonomous cars? Skip right to autonomous aerial vehicles! Can Your Online Profile Replace Your C.V. or Résumé? In a recent communique with a potential customer, I was asked to send a resume, even though I had forwarded my LinkedIn profile. I was dismayed that someone in the tech industry would still be wedded to the static nature of a Word document. It is certainly my opinion that the role of "telling who you are" is best accomplished through a person's online presence -- LinkedIn, a professional landing page, or perhaps even FaceBook. If one is in the job market, I believe it makes more send to send potential employers to your LinkedIn page instead of sending a Word or PDF version of your résumé or C.V. If you are like me, you might use your LinkedIn profile to include not only your qualifications, but testimonials from colleagues and clients, and other information such as publications or successful projects. I feel that the need to establish professional credentials is best served efficiently by sending someone to a LinkedIn page. This will convey relevant experience, and in a place that is maintained because it’s easy to update on a regular basis. Further, as an IT professional, I can appreciate the concept of the "single source of truth" model for data -- instead of uploading copies a résumé to job banks, or keeping track of various versions, outdated or otherwise defunct. Einstein predicted that the waves would be produced in extremely violent events, such as collisions between two black holes. As gravitational waves spread out, they compress and stretch spacetime. The ripples could potentially be picked up by laser beams that measure minute changes in the lengths of two 4km-long pipes at the Ligo facilities. Bad weather is just one obstacle to drivers, but by being even just a little better than the average driver, self-driving cars will decrease accidents, reduce injury and death, and save us all money. Think about it: radar isn't affected by rain or fog or nighttime. Can you see in the dark or a downpour? "As we're developing the technology, we've made sure our cars are aware of how rain may affect their ability to drive," says Google. "Our cars can determine the severity of the rain, and just like human drivers they drive more cautiously in wet conditions when roads are slippery and visibility is poor." Looking Ahead to a Cool New Year! In the new year of 2016, what will you the IT decision-maker need to be aware of? Of course, my focus is on Cloud computing, web services and other cool technologies, but what will gain traction? Drones and other autonomous actors. While the focus has been on the US Federal Aviation Administration wanting to control pilot-driven remote aircraft, true advancement will come from autonomous control. Artificial intelligence is slowly advancing, soon we will see more ground and air vehicles operating on their own. For example, thank of Google’s autonomous driving car, or Amazon’s coming drone delivery service. Internet of Things. Even now, millions of devices supply information to the Internet. And thanks to inexpensive embedded systems, potentially billions of other devices that would not be classified as a "computer" are communicating over networks, mostly with other machines. Low-cost computing, low-cost or free connectivity, and the relative ease for software and processors to make connectivity happen, will make it possible for organizations, governments, companies, and even individuals to collect detailed data from all sorts of devices — and automate them in many ways. SOA and cloud deployment of applications. For an eternity (in technology terms), developers have built native applications, for a particular device and platform/OS. Data associated was stored on the device, although perhaps uploaded remotely. Depending on the nature of the app, Internet connectivity might not even be a factor. This will change radically in 2016: mobile cloud apps don’t require a download; you can use the mobile cloud app UI in a browser window on the remote device, and an Internet connection will be required because data will be transferred between the mobile device using JSON over HTTP/S. Advanced customer relationship management. You should be looking at proactive security architectures, and the ability to deliver self-service or automated response to customers. Because every organization wants to deliver activities designed to enhance the level of customer or stakeholder satisfaction, more efforts will be directed at preventing a negative customer event from occurring. Anticipating a need to prevent escalation reduces devilry costs and leaves the target user with a better feeling about the organization. Notifying a customer of account activities, sending reminders, and reflecting a “human touch” in communications are all ways of advancing CRM — and can be automated by analyzing past interactions with that user. Three-D Printing. The promise of “mass customization” will mean personalized products, manufactured on demand at the end-user location. Newer, cheaper 3D printing technologies will mean consumers create exactly the objects they want from available models, or modify those models for their own needs. Full industrial-sized products, such as cars will not be too far off. What else? I am sure quantum computing will become more of a reality, as the power to process huge volumes of data from GPS-enabled apps, data marts, and “internet of things” devices will have to be analyzed. Marshaling the swarms of drones overhead will require non-human air traffic control. Highways will become more safe, but with greater volumes of vehicles packed into lanes. More will be done, with less resources, freeing us to undertake high-value pursuits.